Shark Week is in full swing with four of the new programs having already aired. Out of the new batch I have to say Great White Invasion has been my favorite. Despite the name it was an extremely interesting and balanced show. I’m excited to see How Sharks Hunt, which will be airing tonight. Have I mentioned how much I love Shark Week? The only thing better would be Komodo Week (Seriously, this is the best idea EVER). Anyway, here are some random thoughts from this year. 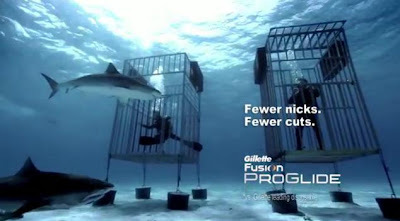 Shark Night 3D and Gillette’s “shaving in a shark cage” commercial are running non-stop during shark week. I think it is a perfect example of the dichotomy of the event. It’s like they are constantly switching from be afraid of this dangerous killer to we must save the shark! Also in the razor commercial they are comparing a Gillette disposable to Gillette’s high end razor. Are they so starved for competition that they have commercials against each other? On a positive note, Discovery has also been running a commercial about shark conservation. You can check out this link to a series of videos about things like shark finning and other threats to the species. 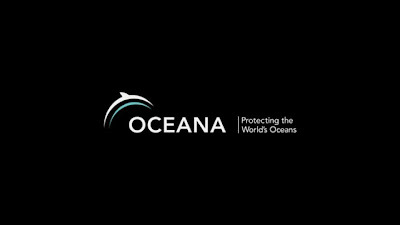 You can go to this link and check out information about Discovery’s conservation partners. I’ve been complaining a lot about what they do wrong; I want to make sure I give credit for what they have done right. I sometimes get Discovery channel mixed up with its sister channel Animal Planet. But because of that mental mix-up I asked my wife a question the other night that I think bears repeating here. Why isn’t the host of River Monsters, Jeremy Wade the host of Shark Week? I hate fishing. It bores the hell out of me. Actually fishing bores me, other people fishing bores me, people talking about fishing bores me, but that man is fascinating. In fact I’m writing Discovery now to try to get Jeremy Wade as next year’s host. I'm still just as freaked out by copepods, but at least I know what they are now..that being said, it has been a great shark week! Loved the Summer of the Shark although it might be a rerun. Have to say I have never felt so much ill will toward James Franco. I'm definitely not seeing that movie.